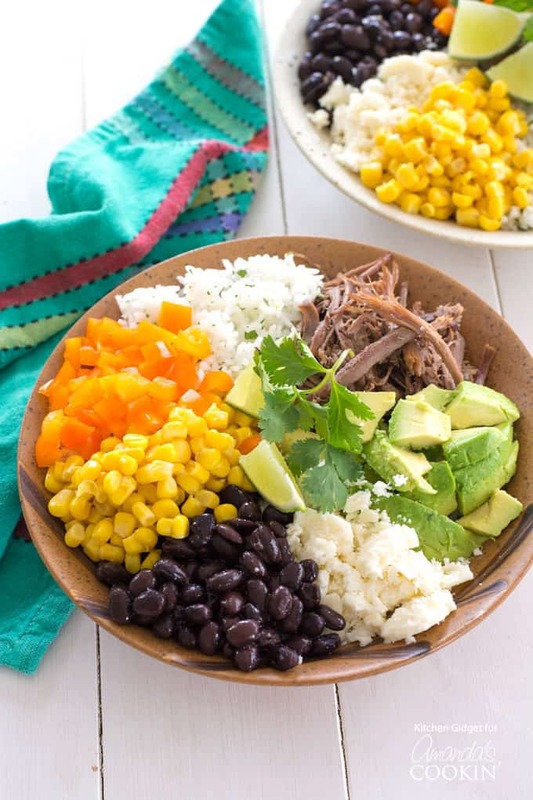 Skip the takeout and try this homemade burrito bowl instead! 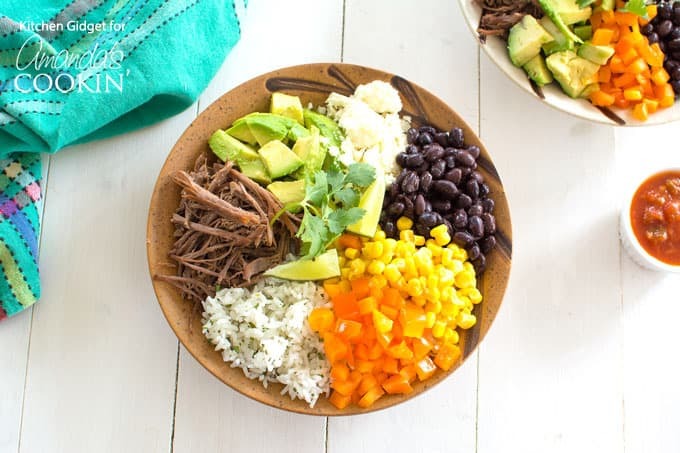 Layered with cilantro lime rice, beans and cheese, this quick and easy burrito bowl recipe is easily customized to your taste and full of Mexican inspired flavor. Great for dinner or lunch, and you can use chicken, beef or pork, whatever you are craving. I’m not sure if I mentioned it before, but my husband is in the Air Force and we’re stationed in Japan. I absolutely love it, but there are definitely a few things we miss from back home that we can’t get here. Inevitably, conversation among friends always turns to food. Most everyone is crazy about Chipotle and their brand of Mexican food. We’re crazy about Mexican food in general and eat it at least once a week. My favorite thing to order from Chipotle is their burrito bowl, which they popularized. It’s such an easy recipe to scale back for one person, or multiply for more. 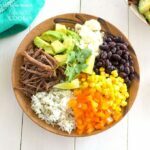 This recipe is not a Chipotle copycat, but a template for you to create your own burrito rice bowls. It’s like a burrito, except it’s layered on a bed of rice with meat, beans, cheese and taco toppings. 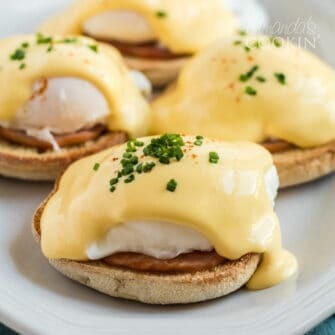 Making them at home is just as easy and delicious. And did I mention how healthy they can be with wholesome ingredients? There’s a lot of room for creativity here. You can do more or less than what I’ve suggested—there are no rules! I prefer to build my burrito bowl based on the leftovers I have in the refrigerator. We always have rice on hand, so I decided to jazz up the leftovers with lime juice and minced cilantro. Plain rice, brown rice or even quinoa works just as well. 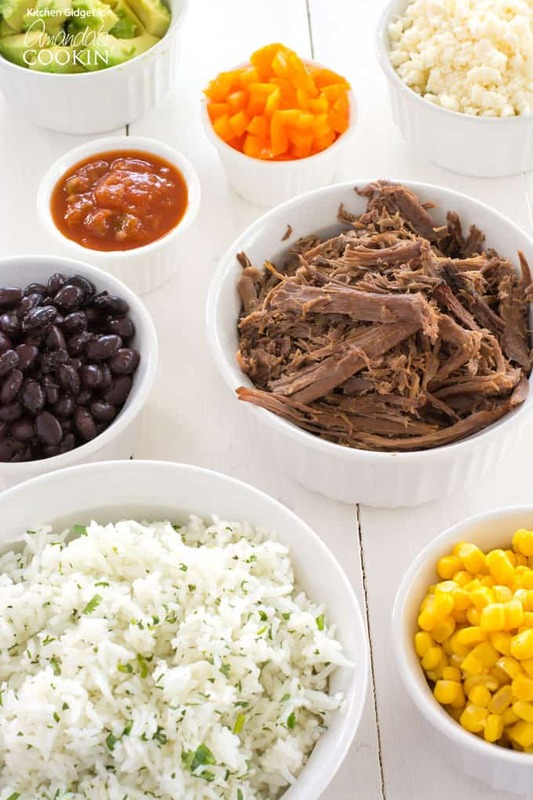 For the beans, pinto or black beans are popular choices. I like to spice mine up a little, but again, if you want to use plain beans the choice is up to you. If you’re using salsa, cheese and other toppings, you probably won’t taste the difference. Love how quick and easy these are to throw together with such flavorful results!